There's a special place in my heart for mystery and suspense stories. Good ones are hard to come by, and great ones are far more rare. When a developer wants to intertwine these elements into a game that isn't going to see much action, it's a risk. The staff over at Night School Studios know this, and yet they still deliver on their promise to give us a game that is eerie and enthralling. 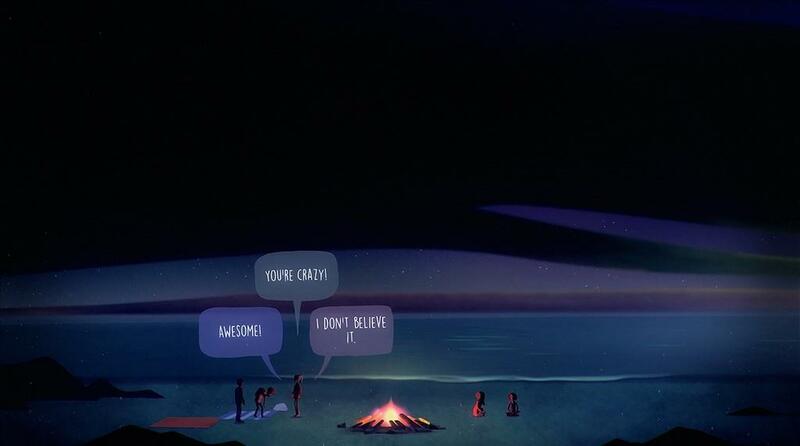 Oxenfree tells the tale of a group of teenagers who are gathering for a yearly party on an island off the coast of their town. The central character is Alex, a soon-to-be senior at the local high school. The premise early on is that Alex is bringing along her new stepbrother, Jonas, who she just met right before the opening scene. You're quickly introduced to her best friend, Ren, who fits the stereotype of the extremely smart but underachieving stoner. Ren spends most of the time talking about the history of the yearly party and how it will be amazing, even though only two others end up joining: Nona, an artsy student that Ren has a massive crush on, and Clarissa, who is the most popular girl in the school and has a strained relationship with Alex. Without giving away much of the backstory that is learned along the way, the party starts off with these five characters playing a modified version of Truth or Dare. But the game quickly goes south for one reason or another (mainly decided by how you let Alex answer questions), and turns into just underage drinking and exploring. 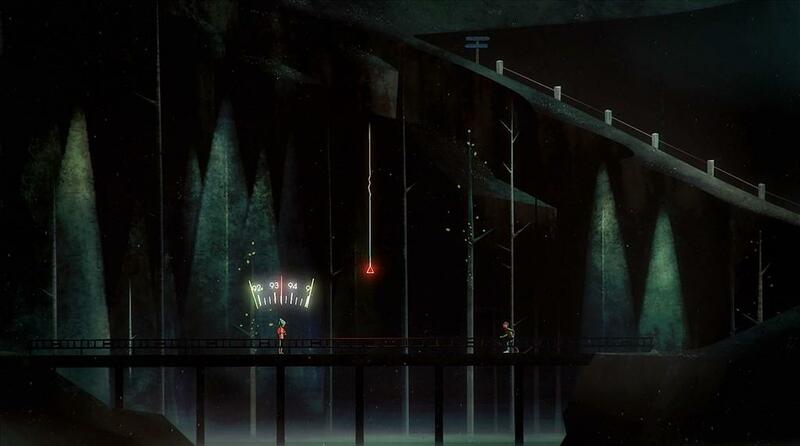 Oxenfree ramps up when Alex and Jonas discover a cave and manage to accidentally open up a supernatural rift using a small radio. The radio becomes your best tool throughout the game, as it is required to advance from scene to scene. 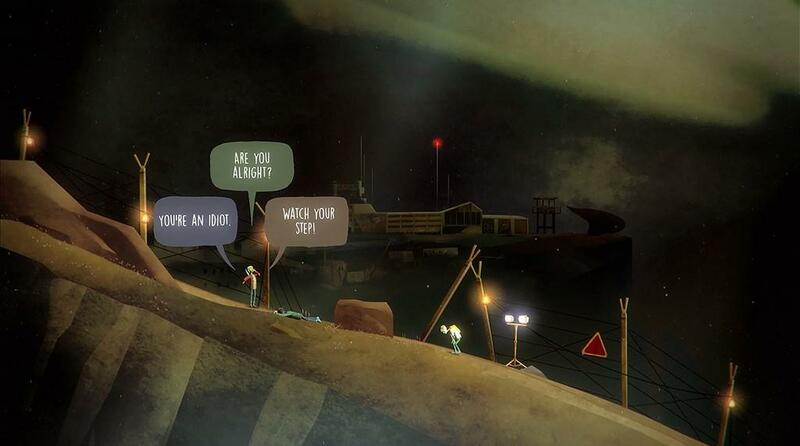 The beauty of Oxenfree is that every playthrough is different, given how the player responds in every interaction. Alex's responses range from friendly to sarcastic to dismissive. Every decision has a consequence, whether it be a minor thing like how another character speaks to Alex, or a major decision that could affect the final ending of the game. While there isn't going to be any action sequences, what I found so enthralling about Oxenfree is the number of little things that can be unlocked and lead to learning the real issue going on in the story. There's a well-thought-out story that the characters stumble across, tying everything together. The decision you have to make is how much you're willing to dig up--versus wanting to see a different ending at certain points of the game. I couldn't tell you how many endings there are, but I played through Oxenfree three times and got three different endings, all with varying degrees of clarity. One ending really caught me off guard and it was surprisingly easy to get. It didn't make much sense because it was my first playthrough, but when I spent more time unlocking things in the second playthrough, that first ending made far more sense. Oxenfree is not meant to be a one-time five-hour playthrough. It's meant to be played numerous times to see just how much can be opened up, what kind of ending Alex can get for herself and everyone else, and seeing the broad spectrum of happy-vs.-sad endings, and, in a couple of cases, borderline dark entries. Alex is one of the most interesting characters I've played within gaming, and a lot of that has to do with being able to let your own personality come out in her responses. You really feel for her, because if anyone remembers what their teenage years were like, one can't be burdened with the decisions she has to make in this game. I think the best part about Alex, however, is that even with all the creepy supernatural stuff going on, there are still moments where she's genuinely excited to be apart of this event. Of course, this depends on your responses and getting to hear Alex express herself. That's the true fun of the game: You essentially become Alex. Alex is just an extension of yourself and how you handle everyday conversations in the middle of a stressful situation. I do have some minor grips about Oxenfree, though. First, the radio can be a little frustrating sometimes. Throughout the game, in order to advance scenes, the radio tuner has to be used in order to tune into very specific frequencies. Sometimes it feels like it punishes you for not being spot on, because you'll be standing there, knowing you have the frequency, but nothing happens. Again, it's just a minor gripe because it takes some fine tuning. The second gripe is a little more important because it adversely affects how one can push through the game. As I mentioned before, there are certain scenes that the player has to do once they hit a certain part of the map. The game will not allow you to leave a zone once the scene is triggered; while that makes sense, it's an inconvenience because it can actually block the player from trying to unlock all of the smaller things in order to get the best endings. It doesn't necessarily make the game linear, it's just that a player has to actually plan ahead and avoid certain areas on a second or third playthrough in order to not get stuck and to be able to find every last clue behind the mystery. Oxenfree is an outstanding mystery title. Yes, there's no action that's going to involve shooting ghosts, getting chased, etc. That's not the point of Oxenfree. 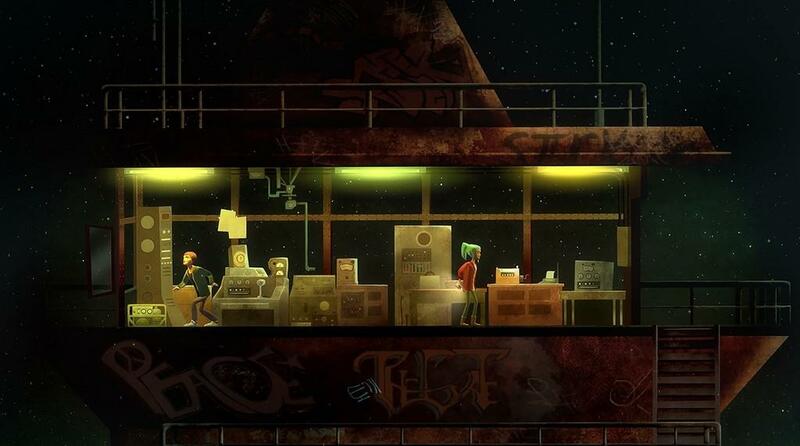 Oxenfree wants to tell a story, and have you unlock the parts that are missing. It wants you to not only learn about the characters, but it wants you to actually care about them, especially Alex. The story is intriguing and it's easy to miss certain parts of it, depending on how long it takes to figure out the bulk of the backstory, but it only makes you want to go back and go through the game again because of the ability to get a new ending. It's quite a clever game that will keep you intrigued on multiple playthroughs. 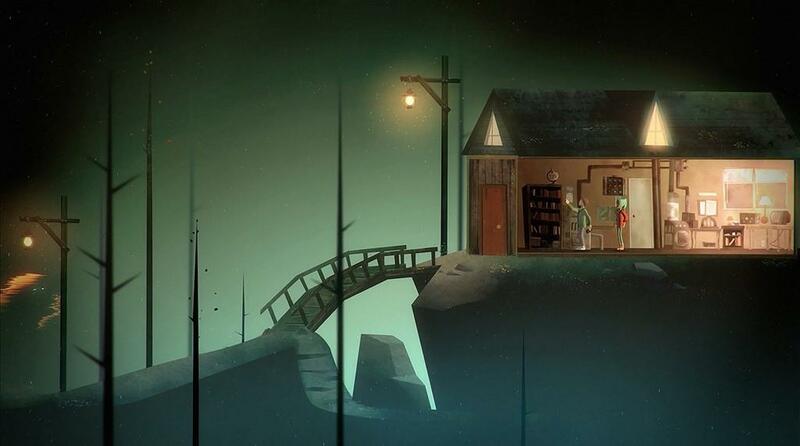 With an enthralling mystery to solve while trying to survive a supernatural event, Oxenfree challenges you to solve a mystery, care about the characters, and make you want to play through the story again and again.